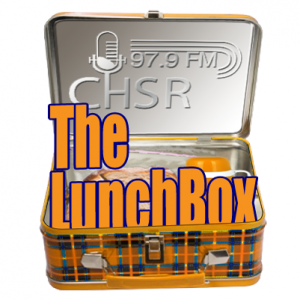 Home » Specialty » Archive for category "The Lunchbox"
My guest today is James Boyle, co-founder of the upcoming Atlantic Podcast Summit, to be hosted in Halifax, NS on the weekend of May 4, 2019. Hosts Hermine de Pontevès and Johnathan Duffy take a look at education reform in New Brunswick and why young people are back playing games face to face. My guest today is Rowan Miller, the Administrative Manager of Notable Acts. My guest today is Bonnie Joe Steever, who is fighting to have her gender identity recognized properly. This week, Emma tells us about the one-man show Steve Hill and I reminisce about the Wangled Tep EP release last Friday (with Goldpunks and DenMother). We also highlight shows coming up, including a tribute to the Beatles, shows by Joyful Talk, The Walking Contradictions, and more! My guests today are Len Falkenstein (Director of Drama, UNB; aka “Grand Poobah of Theatre in Fredericton”) and two actors, Kate (Mrs. Fidget) and Bhavrya (Mr. Fidget), from the upcoming Theatre UNB staging of The Country Wife. My guests today are Lesandra Dodson (Solo Chicken Productions) and Sydney Hallet (actor) who have been working with numerous students at STU to create a new physical production called The Despot. Explore the age of untruth with special guest Daniel Dale, who documents Trumps tall tales for the Toronto Star. Jared Durelle joins me as we try to interpret and understand the Provincial NB Budget and the Federal Budget. My guest today is Fredericton MP Matt Decourcey, who took some time out of a very busy day of budget announcements in Ottawa to talk about the upcoming Citizenship Reaffirmation Ceremony. My guests today are Daniel, Esther and Harpreet from Better Than Reality, one of the top 5 competitors in this year’s NBIF Breathru competition. This week, Emma braves her cold to reminisce about Danny Michel, the International Women’s Day music gathering at Charlotte St Arts Centre, and the Women of the 90s tribute show — and look forward to the upcoming Steve Hill and Adam Baldwin shows. Host Sayan Chatterjee, along with special guest Husoni Raymond, explore why Black voices matter, and what it’s like growing up Black in Fredericton, while reporter Alishya Weiland brings to light Fredericton’s dark history of black face in the Smokey Mokes minstrel troupe. My guest today is Mark Kleyn, the Conservatory Coordinator for the UNB Centre of Musical Arts. He’s offering a four-week workshop on Understanding Performance Anxiety for Musicians. My guest today is local musician Richie Young, who’s new solo blues album Turn Back On Your Radio is out now. 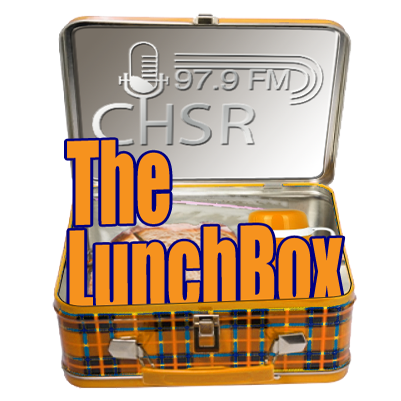 Hosts Julia Pazzano and Alishya Weiland explore the millennial diet and how fast-food delivery apps, multi-level marketers and body obsessiveness are shaping unhealthy lifestyles.